It is a pleasure to include my friend and fellow thyroid advocate Sarah Downing at Hypothyroid Mom. Looking back, this was partly true, but I also knew my body well enough to know that there was something else going on. My doctor failed to listen to me, including my request to test my Free T3 and Free T4, claiming that Free T3 is unimportant. I’m tired of hearing of doctors who think they have successfully treated their patients once their TSH is within range. Besides the fact that TSH can be very deceptive and is sometimes affected by other hormones or medicines, it should be about finding someone’s feel-good range. Many patients feel best with a TSH below 1 and some even need it to be suppressed to feel their best. Everybody is different and most patients seem to feel best when their free T3 and Free T4 levels are in the middle to the top of the normal range. In the end, I realized that I wasn’t getting anywhere with our old doc and also that I knew more about thyroid disease than she did, so I switched pretty fast to another doctor. My doctor changed my meds and worked with me to make me better. He listened and liked the fact that I researched and knew a lot about my body. He didn’t talk down to me, which is something I find really hard to tolerate, but also something that many doctors had done in the past. In 2009, Sarah was diagnosed with hypothyroidism which changed her life for the better as it finally gave her answers for her bone-crushing fatigue and progressive weight gain, and taught her a lot along the way. A passionate writer, poet and translator, Sarah decided to use her gift to help others by starting Butterflies & Phoenixes. Sarah believes in taking a proactive approach to illness and turning negatives into positives. Her journey has led her to study massage therapy in order to help others because she believes that “wounded healers” provide the empathy that many people need. Sarah’s experience in living in England, Germany and the US also enables her to identify with the varying situations of international patients. READ NEXT: Which is the best thyroid medication? Thank you for this post. I am sorry that you experienced so many instances of people being rude about hypothyroidism. Last summer (May 2017), I was suffering crushing depression. I chalked this up to bring burnt out after my first year of medical school, and the psychiatrist I visited told me the same. His recommendation was exercise. Made enough sense, I played two varsity sports in high school and was in outstanding shape until a point a few years back that my father reassured me was “just my metabolism catching up with me.” My doctor scoffed when I suggested checking my thyroid. Some good has come of this though. When I see patients and hear their stories, I feel like I can make a better connection with them. It’s a tough fight we face, but we’re all in this together! And yes, thyroid affects us guys too! I also had thyroid cancer thus total removal of my thyroid,I am on 75 micrograms of Eutroxsig daily,my Doctor seems to think this is fine!..I wonder is it?..I am still so tired and my weight keeps piling on,I do exercise well, I walk for 20 minutes a day any longer and my ankles ache!..I don’t over eat and still I cannot lose any weight,I am so depressed and feel so fat and lifeless all the time.. So true! Been there …done that! Frustrated. . …for YEARS! Can relate to so many of you. My heart hurts hearing that you were there too. Can relate to the Hashimotos. I must have had it for many years. So glad for the AWARENESS! Keep talking & working towards even more awareness & understanding. I am doing well on the New Zealand bovine desiccated hormone. Could feel her pain in article. Don’t suffer in silence! (Would tell her the extra language detracts from her good message.) God bless You dear fellow travelers. I feel so sad and angry reading these stories, so much unnecessary suffering. I would never have know I had Thyoid problems until I read an article in Marie Claire. I was tired, overweight , sluggish, painful joints etc. However my GP dismissed my blood tests airily as being ‘borderline’ and we don’t bother to treat that ! After reading the article I was amazed to see that I ticked all the boxes. However I had no idea how to proceed . At the end of the page long article contact details for International Thyroid Group (now known as Thyroid U.K.) were listed. I rang the no listed and spent over an hour talking and listening to an amazing lady. test. She informed me I was ‘borderline’ Borderline what? Oh hypothyroidism or underactive Thyroid. When I enquiried what the treatment for this was she simply said Oh we don’t bother to treat borderline hypothyroidism . I contacted Betty again and she sent me a pack of incredible information on Hypothyroidism . 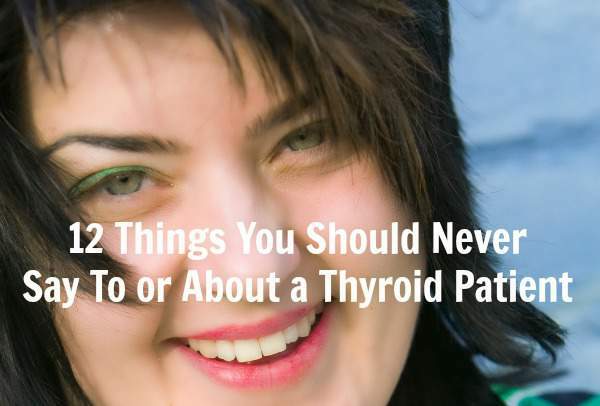 It was eye opening, all my symptoms pointed to underactive Thyroid. Where to go then. I picked up that what I needed was a referral to an Endoctrinologist. I attended a private Clinic. The Ulster Independent Clinic, where Prof Atkins prescribed 150 mcg Thyroxine. This is a simple synopsis of my history. I have had many ups and downs , especially when dose was reduced. However I have found many supplements which while not medicinal, do support the Thyroid . I would happily share this information privately , because while many work for myself they may not work for everyone . Unfortunately T3 is not prescribed in this country , although it is commonly used in other European countries such as Germany . I feel well and healthy on my present regime, but have had to research extensively and work hard to keep on top of the underactive Thyroid . They do prescribe T3 in the U.S. I’ve been taking Liothyronine for about 3 years. I got it from a naturapath, ordered from a compounding pharmacy. It made a huge difference. Levothyroxine sent me to emergency twice with horrible anxiety, and high blood presssure. It didn’t change from T4 to T3 like it was supposed to, so the T4 kept going up and the T3 kept going down. I finally had my doctor change my prescription as the compounding pharmacy was way too expensive. I don’t have the anxiety any more, but I’m still dead tired.